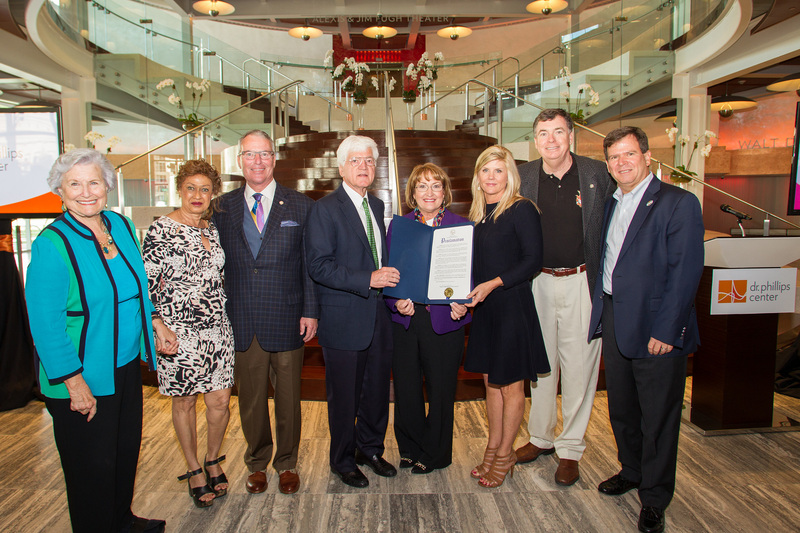 Orange County Mayor Teresa Jacobs joined community leaders at the spectacular Dr. Phillips Center for the Performing Arts on Friday to celebrate and commemorate the anniversary of the Center’s historic grand opening which took place on Nov. 6, 2014. Mayor Jacobs’ remarks at the celebration highlighted the incredible national and international exposure the Dr. Phillips Center has received since it opened last year. Kathy Ramsberger, president and CEO of the Dr. Phillips Center, provided a report to the community and an update on philanthropy and the progress of Phase 2. On June 12, Mayor Jacobs delivered her 2015 State of the County address at the Dr. Phillips Center in the Walt Disney Theater. With more than 750 citizens in attendance, it was the largest State of the County audience in the history of Orange County. Since its opening, the state-of-the-art facility has been a Mecca for creativity and discovery. Where artists, audiences and students have gathered to experience, learn and explore the performing arts, fulfilling the vision of the Dr. Phillips Center, Arts for Every Life. The Dr. Phillips Center for the Performing Arts is a nonprofit 501(c) 3 organization operating the new state-of-the-art performing arts center in downtown Orlando. The two-block community destination features the 2,700-seat Walt Disney Theater, 300-seat Alexis & Jim Pugh Theater, Seneff Arts Plaza, Dr. Phillips Center Florida Hospital School of Arts & Wellness, the DeVos Family Room, and other event rental spaces. Future expansion plans include a 1,700-seat acoustical theater, rehearsal room and commercial development spaces. The Dr. Phillips Center is a public-private collaboration with Orange County, the City of Orlando, the State of Florida and generous donors. Photos from the anniversary may be found on Flickr for use by the media.